Wiley Education Services partnered with the University of Queensland to develop ECON1310, a transformative online course for which Professor Carl Sherwood has recently won the 2017 Australian Award for University Teaching for Law, Economics, Business and Related Studies. The ECON1310 course takes a different approach to teaching introductory statistics by integrating original video content with the reading material. Interactives and assessment activities have also been incorporated to help students test and apply their learning after each section. Videos of Mr. Sherwood giving lectures help instil the feel of face-to-face learning. This helps increase student engagement, especially when factoring in students who may be taking the course solely online from various locations around the globe. Wiley Education Services worked with Mr. Sherwood to redesign the online delivery of the course, combining original and repurposed content within a learning design built to facilitate student retention. With an established track record of developing digital courses and designing solutions for in-class, blended and online programs, Wiley Education Services helped UQ deliver a course that could pave the way for online course design in other Australian universities. ‘I was extremely impressed with the speed and professionalism Wiley brought to the detailing and design of my introductory statistics course Blackboard site.’ Mr. Sherwood said. 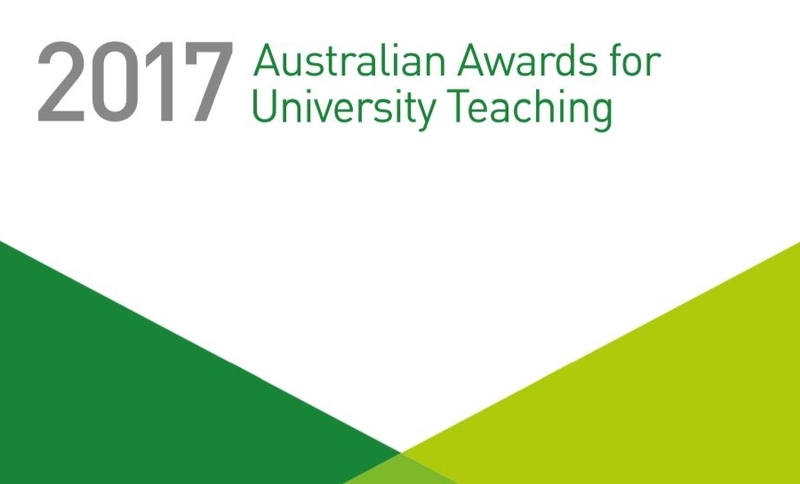 The Australian Awards for University Teaching recognise those among Australia’s most outstanding university teachers and programs, contributing to the quality of student learning and student experience in higher education. View the full list of 2017 winners here. Find out more about our approach to strategic partnerships here.